It’s late, the traffic is bad and the kids are asking the perennial ‘are we there yet?’ Time to take a break. After filling up with fuel and picking up drinks and snacks, the final push for home can begin. And then it happens. As you pull away from the pumps, the car’s engine splutters, warning lights glow like Christmas decorations and suddenly you realise you’ve filled up with the wrong fuel. This is where Green Flag’s training kicks in. That checklist is designed to help Green Flag plan the best possible response for each individual. Are they stranded in a dangerous position? Are there children or vulnerable people with the vehicle? “The term ‘vulnerable people’ covers a wide range of drivers and passengers, from young women travelling alone to a parent with very young children, the elderly, or drivers carrying someone with a disability or illness,” says Lowey. The Mansfield Group, one of Europe’s largest roadside operators and a valuable partner of Green Flag, have highly trained deployment staff who receive the breakdown details from Green Flag. They are the people with the welcome voice at the end of the phone. Together with the nationwide team of highly skilled patrols, they are just one part of the roadside team who are trained to standards laid down by the Institute of Vehicle Recovery. This is where other forms of training are essential to Green Flag’s ability to respond to all breakdown situations. 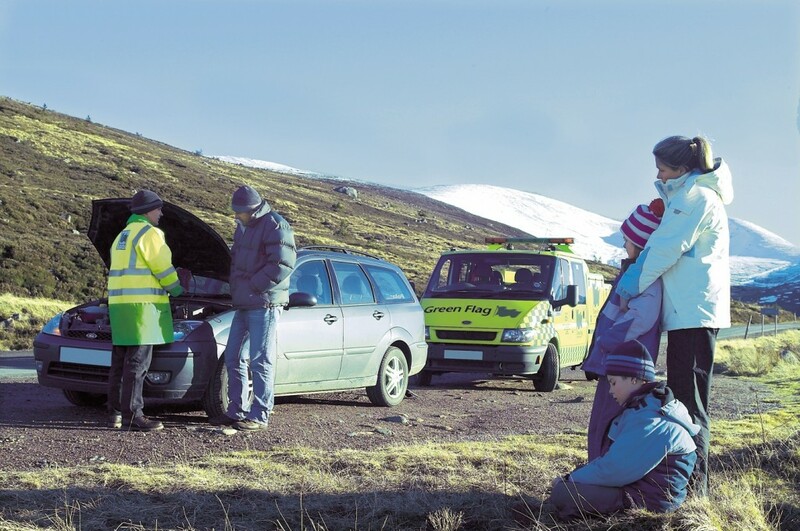 To get drivers to their destination throughout Britain and in some cases across Europe, Green Flag has a wide range of patrols, recovery technicians and recovery vehicles and equipment. Lowey points to drivers filling their car with the wrong fuel. Unlike rival organisations, every Green Flag policy apart from its cheapest covers drivers for misfuelling. It has specialist vehicles to deal with incidents at the scene, and it has the added option of recovering drivers to one of its dedicated service centres where misfuelling can be safely dealt with. All patrols also undertake driver training appropriate to the vehicle they use. So if it’s a Green Flag van with a trailer, the driver will have passed the trailer test to upgrade their driving licence. “Not many people realise that it’s against the law to tow anything over 750kg if you haven’t passed the trailer test,” stresses Lowey.